Karl Lacey says the team are delighted to give Donegal fans something to get excited about again this year after the struggles of 2013. 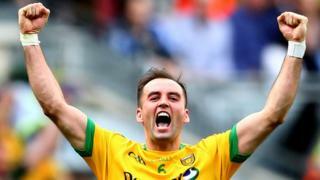 The 2012 Football of the Year has been back to his brilliant best this season as Donegal have powered their way to Sunday's All-Ireland Football Final against Kerry. However, Lacey is expecting a huge task against a Kerry team which appears to have a great blend of youth and experience.